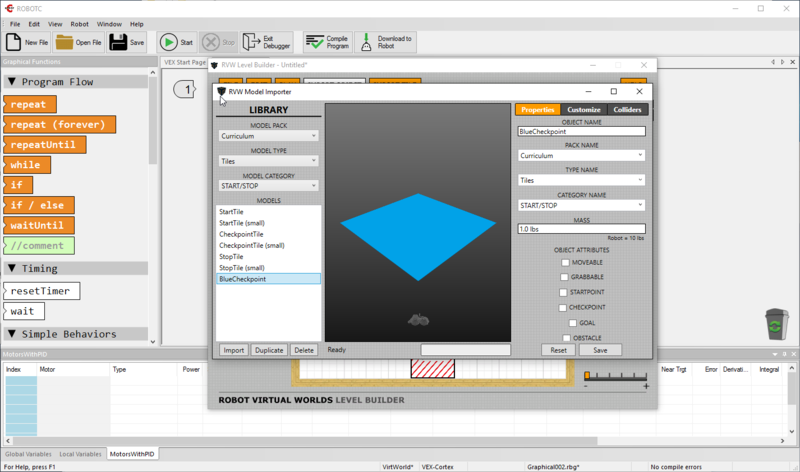 i work on project to make EV3 robot arrange boxes in warehouse based on their color ..
and i want to work on RVW but i am not sure if i can make virtual warehouse similar to this pic..
so my Q does RWV has features that allow me to make this warehouse???! We do have a feature that will allow you to create this challenge. 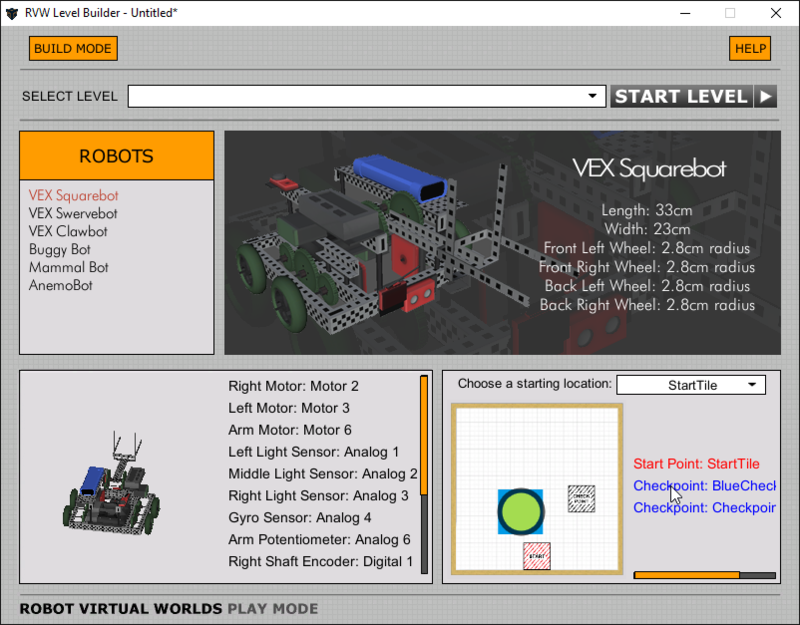 Check out our "RVW Level Builder" on our robot virtual world website. Also, another tool that we offer is our "RVW Model Importer." You can also find out more information about this application on our website. it's works very good with me until i received this problem which is when i custom tiles and then added it to the project it doesn't appear like what i customized. i don't know why it doesn't appear like what i edit......! I can reproduce this. There is an issue for saving a color change to a textured object. Please try using the "Tile Importer." In your case, all you will need is an image of a blue square. 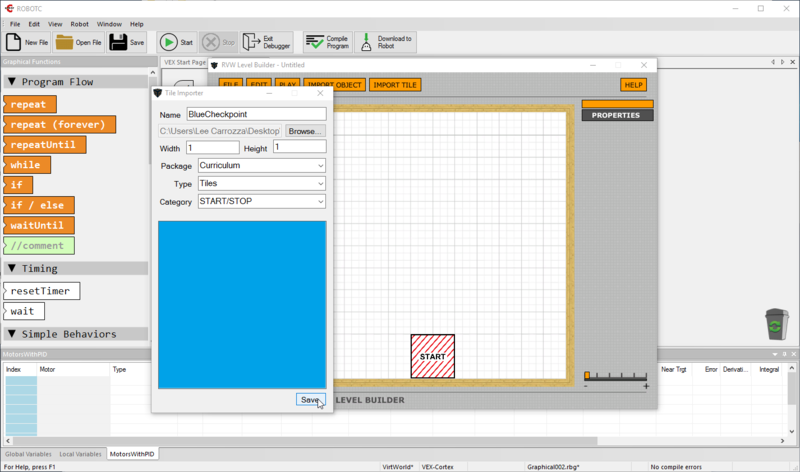 Use the wizard to create a tile. Once you create your tile you can then add the checkpoint logic to it. Here is an example. All I used was paint, a screenshot tool, and level builder. 1) Make a blue tile in paint. 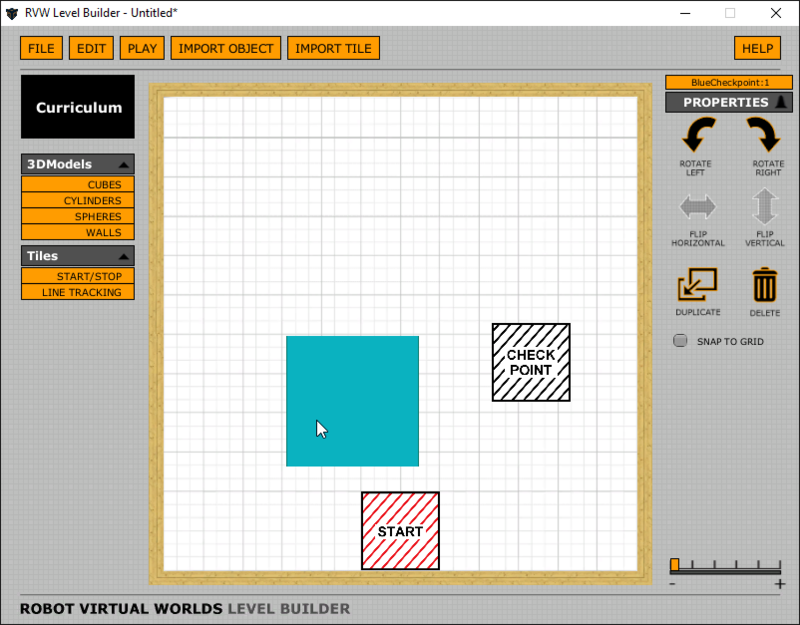 3) Open Tile Importer (In level builder) and import your tile. 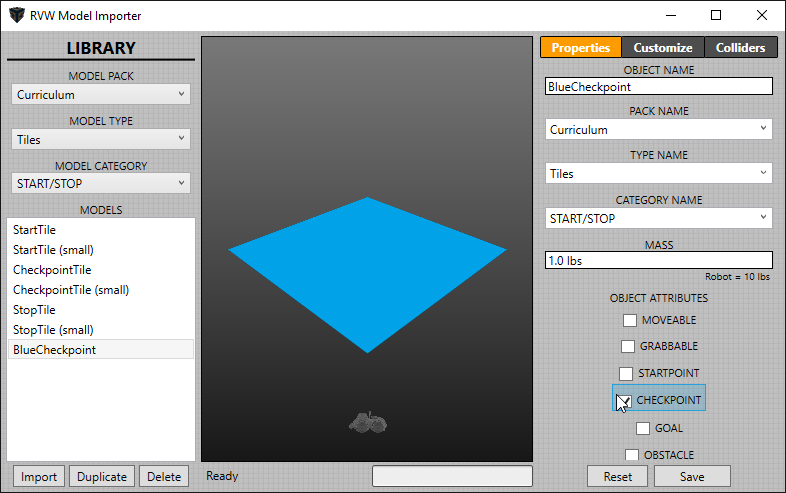 4) After you press save, the importer will not close, but the tile has been created. Avoid clicking save a bunch of times because it will create many models of the same thing. 5) Navigate to your new tile in Model Importer. 7) Add your tile to your level. 8 ) Play As you can see below my tile is now considered a checkpoint. Please let me know if you have any questions. We will be sure to fix this issue above in our next release. We are also adding some new and exciting features soon! There is currently a known bug with changing the object's color and transparency. You will be able to change the models color's in the next update. I apologize for the inconvenience.